REDWOOD CITY, CA--(Marketwire - March 9, 2011) - Check Point® Software Technologies Ltd. (NASDAQ: CHKP), the worldwide leader in securing the Internet, today announced it has been named a Channel Champion in the Network Security Software category based on the results from the 2011 CRN Channel Champions survey, the largest technology integrator market study in the industry measuring overall perceptions of vendor products and services. This award recognizes Check Point's leading Software Blade Architecture™, Data Loss Prevention (DLP) Software Blade, Intrusion Prevention (IPS) Software Blade and full range of UTM-1 appliances, validating the company's broad portfolio of leading network security solutions. 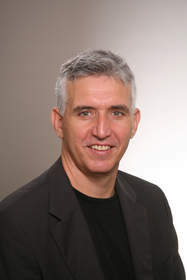 In addition, the magazine has also selected Check Point's Vice President of Global Field Operations, Amnon Bar-Lev, as a 2011 Channel Chief by Everything Channel's CRN editorial staff for the fourth consecutive year. Since joining the company in 2005, Bar-Lev has played a critical role in the strategic development and success of Check Point's PureAdvantage partner program. The Check Point PureAdvantage partner program was designed to help distributors and partners grow their businesses -- many of whom have doubled their revenue with Check Point in the last four years by offering the industry's most advanced security solutions. Over the past year, Check Point has continued to expand its partner community -- adding over 700 new partners and achieving $1 billion in record revenue during the fiscal year of 2010 with its full suite of security solutions from the gateway to the endpoint. "It is an outstanding honor to receive these awards. They are a true testament to Check Point's strategic channel developments and commitment to executing on the vision for 3D Security, a new approach that goes beyond technology to transform security into a business process," said Amnon Bar-Lev, vice president of global field operations at Check Point Software Technologies. "As a 100-percent channel-driven company, winning these awards is based on a true collaboration with our partners." For more information about the Check Point PureAdvantage Partner Program and its benefits, please visit http://www.checkpoint.com/partners/signup.html. "We remain dedicated to being a trusted security advisor to our customers and look forward to continue delivering on our vision for 3D Security, helping organizations align security with their business needs," concluded Bar-Lev. Check Point Software Technologies Ltd. (www.checkpoint.com), the worldwide leader in securing the Internet, is the only vendor to deliver Total Security for networks, data and endpoints, unified under a single management framework. Check Point provides customers uncompromised protection against all types of threats, reduces security complexity and lowers total cost of ownership. Check Point first pioneered the industry with FireWall-1 and its patented stateful inspection technology. Today, Check Point continues to innovate with the development of the Software Blade architecture. The dynamic Software Blade architecture delivers secure, flexible and simple solutions that can be fully customized to meet the exact security needs of any organization or environment. Check Point customers include tens of thousands of businesses and organizations of all sizes including all Fortune 100 companies. Check Point's award-winning ZoneAlarm solutions protect millions of consumers from hackers, spyware and identity theft. UBM (UBML) focuses on two principal activities: worldwide information distribution, targeting and monitoring; and, the development and monetization of B2B communities and markets. UBM's businesses inform markets and serve professional commercial communities -- from doctors to game developers, from journalists to jewelry traders, from farmers to pharmacists -- with integrated events, online, print and business information products. Our 6,500 staff in more than 30 countries are organized into specialist teams that serve these communities, bringing buyers and sellers together, helping them to do business and their markets to work effectively and efficiently. For more information, go to www.ubm.com.